Imagine yourself as Ariel from the Disney classic The Little Mermaid: If there is something you want from the bottom of your heart, will you be willing to give up your voice just to get it? For most of us, our voice is a non-negotiable thing. Communication is considered a necessity, no matter what industry you are in. In the Philippines where Business Process Outsourcing and other service sectors are considered as some of our strongest industries, being able to communicate is one of the lifelines of the jobs that support us. Take for example *Francis 27, who used to work as a call center agent. “Back when I was a customer service representative, I have no other means to connect with my customers but my voice. If I can’t be heard clearly on the phone, as a customer service representative, that’s going to affect my productivity. Communication capabilities and speaking skills aren't only important in voice-based jobs. People who present to clients also highlight the importance of having a clear and powerful speaking voice. *Abraham, a creative director in an advertising agency, talks about how important his speaking ability is to his line of work. "When presenting my ideas to client, I need to convey it with confidence and clarity. Especially in major presentations where we usually have a boardroom filled with head honchos, my voice needs to fill the room. The way I communicate to them is very important in selling the idea. If my voice is soft or sounds unsure, they'll also doubt my idea. So I always make sure that my voice is ready for every pitch and presentation." It’s not only in our professional lives that our communication skills are important, however. As Filipinos, we are natural social butterflies. We boast a special kind of hospitality that makes everyone feel at home. Not to mention showcasing our voices come with our culture. It’s the reason why all of us love a good party and some karaoke! Like Ariel, some people have a tendency of not realizing how important our voices are until the end. It doesn’t necessarily have to mess up our happy endings, but it’s important to our everyday lives! Thankfully, you don’t need to go to great lengths just to take care of it. For example, taking lozenges like Fisherman’s Friend can help ease your throat problems in the event that you do pull off a Little Mermaid stint. Created by Lofthouse Company, the established brand of menthol lozenges provides instant relief to usual throat concerns like coughing, soreness, and itchiness. Plus points to it for having yummy flavors as well so you can have it as your new favorite sweet. Choose from flavors like Spearmint Sugar Free, Lemon Sugar Free, Cherry Sugar Free, Mint Sugar Free, Mandarin Sugar Free, Original and Strong Mint. You can get a pack for only Php 44.75 on leading drugstores, convenient stores, supermarket and groceries nationwide. 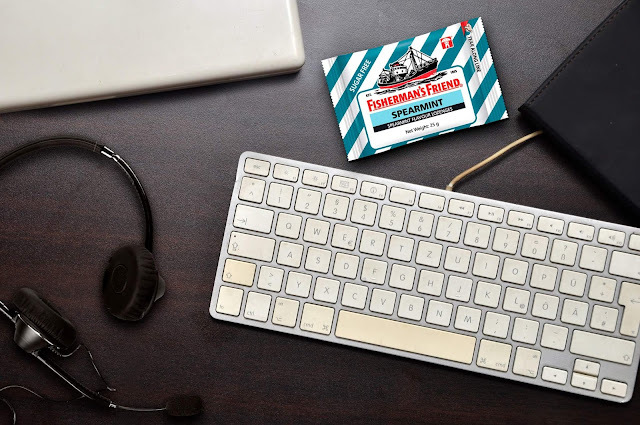 For more information about the product, visit www.fishermansfriend.com and Fisherman’s Friend’s Facebook page - www.facebook.com/FishermansFriendPH.